The system consists of two components: The motorized measurement system scans the complete color bar on a printed sheet within seconds and simultaneously sends the spectral measurement data wirelessly to the PC where all relevant information for controlling the printing press is displayed. One unique feature of SpectroDrive is its flexibility to be used with any press type or format. 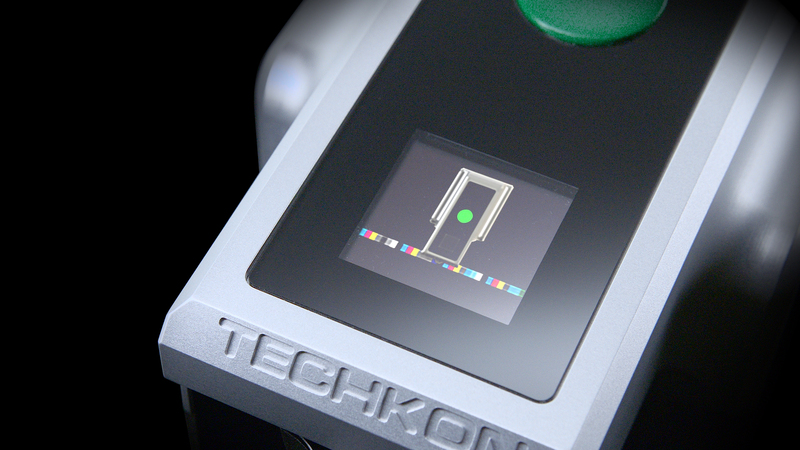 TECHKON SpectroDrive is delivered as a complete turn-key system. SpectroDrive can be used as a scanning device as well as a hand-held instrument for single measurements. Just take the device from the horizontal track and position it wherever you want to take a color measurement. SpectroDrive now also features an integrated display that shows the measurement values of spot measurements directly at the device. The Windows-software TECHKON ExPresso 4 offers a comprehensive tool-set comprising measurement of CMYK and spot colors, support of up to 16 print units, face and reverse printing, display of color density, dot gain, gray balance, L*a*b*-values and recommendations on how to adjust the ink on the press. This is only an excerpt of the complete functionality. Thanks to its modularity, TECHKON ExPresso is expandable and versatile. The measurement data can be exported into other software applications that connect real-time to printing presses to enable a “closed loop” turn-key solution. SpectroEdge is a premium-class inline spectrophotometer for the direct integration into printing presses. The measurement system records precise spectral color values at production speeds up to 300 meters per minute. We offer this powerful technology custom designed for the integration into printing presses in packaging and digital printing. Also in industrial production systems for film and paper manufacturing our inline systems are used for quality assurance.